I woke up regretting the large glass of Bertha’s gin that I finished last night with. Kerry dropped me off at The Barbican Wharves on her way to work and I headed straight for the Jacka Bakery to enjoy another of their amazing pain-au-chocolats. I took my time enjoying the atmosphere of The Barbican before heading around to The Citadel. This was where the local ferries ran from and I waited for the small ferry that covers the shortest journey, across the Cattewater to Mount Batten. It was preferable to walking inland, through the industrial area, to the Laira Bridge. Mount Batten was the site of an RAF station from 1928-86, and before that there were flying boats stationed here since 1913. 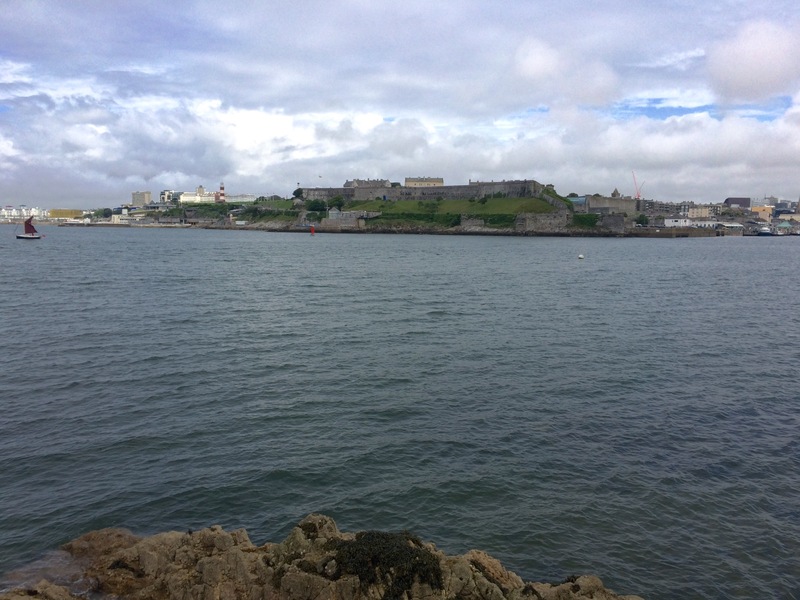 This was the home of air defence to protect the Naval vessels in the Western approaches to Southern England. Before aircraft the entrance to Cattewater and Sutton Harbour was protected by the Mount Batten Tower. It was built c1650, probably in response to the threat of war with the Dutch. 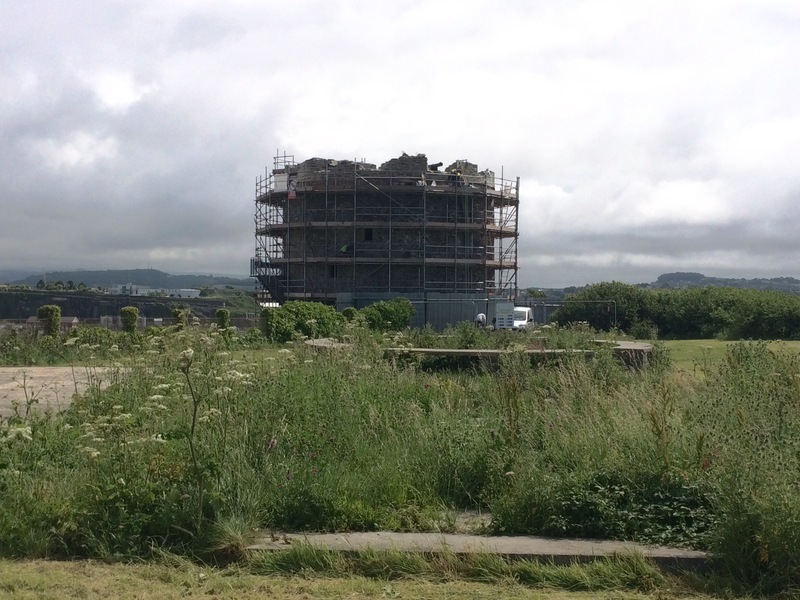 Today it was shrouded in scaffolding and was undergoing repairs. 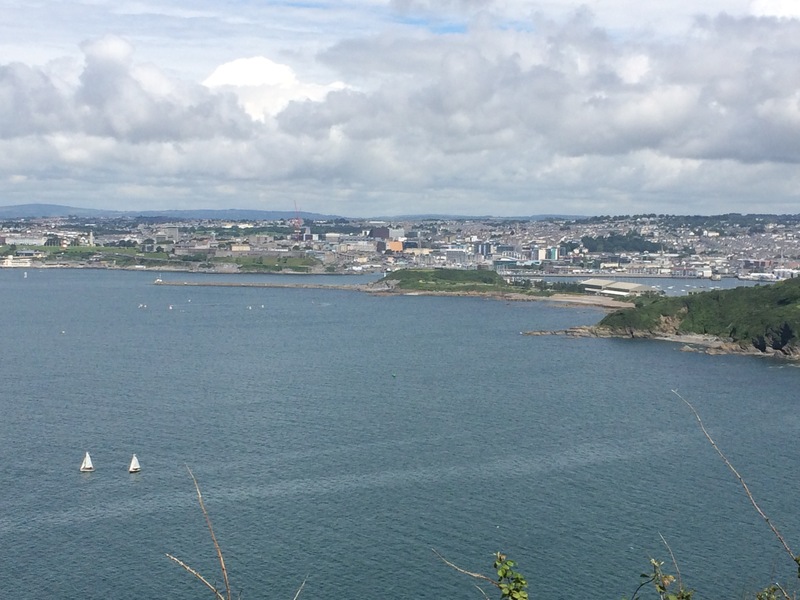 The sky became blue and the sun came out, just to give me excellent views across the Plymouth Sound so I could properly appreciate the majesty of Plymouth. 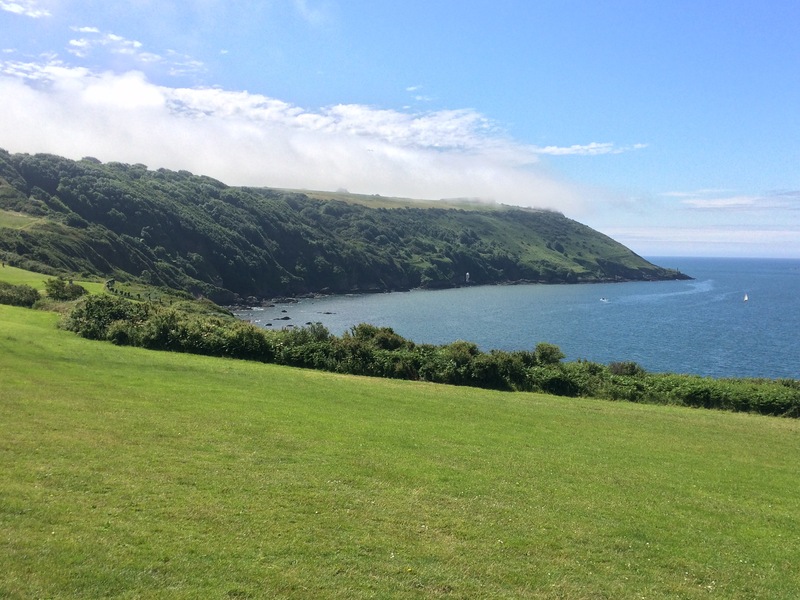 The path wound over Jenny Cliff and Staddon Heights, and out to Fort Bovisand. 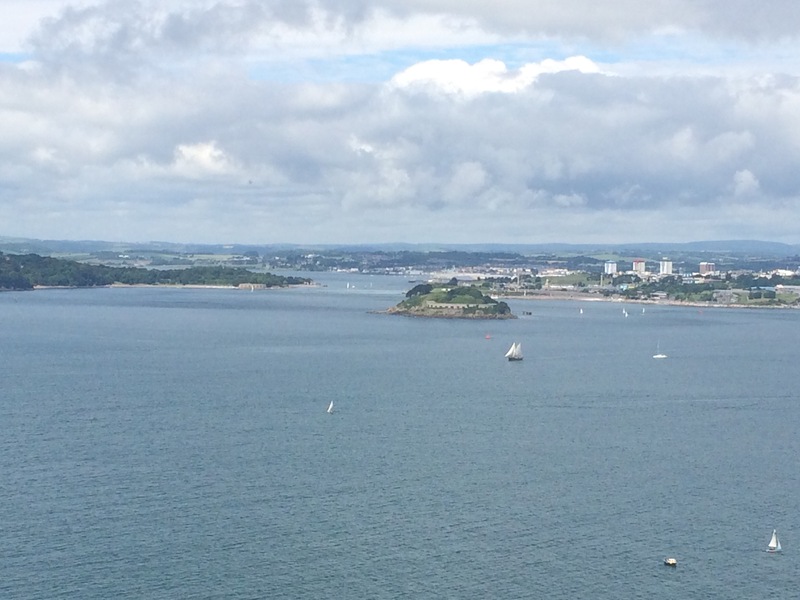 I read that in the 1860s twenty-four forts, constituting “a ring of fire”, had been built encircling Plymouth. They were arranged in 2 rings to protect from seaward and landward attacks, that were expected from the French. 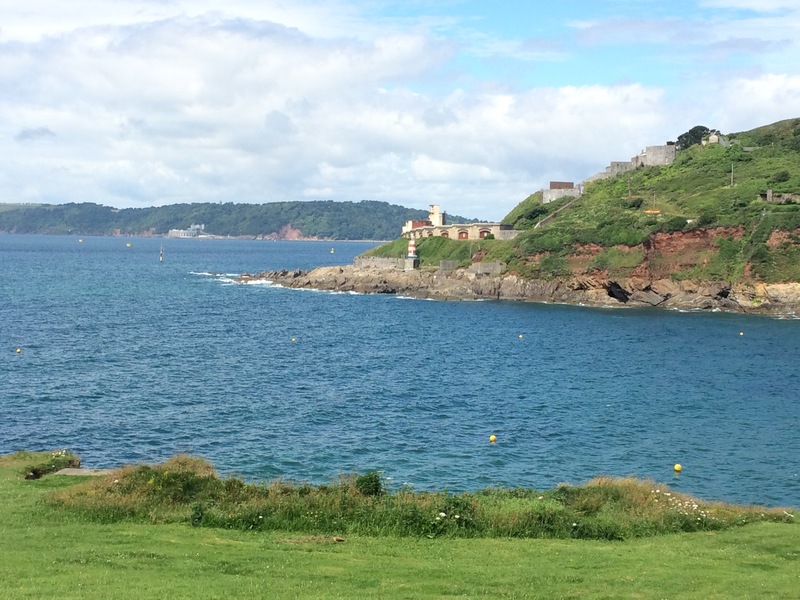 The 3 forts covering the seaward approaches to The Sound were Picklecombe (western side), Breakwater Fort (central) and Fort Bovisand (eastern side). Staddon Fort, which was just above me, had been the principal land fort. There were lots of boats in The Sound, although it is so big that it didn’t seem crowded. 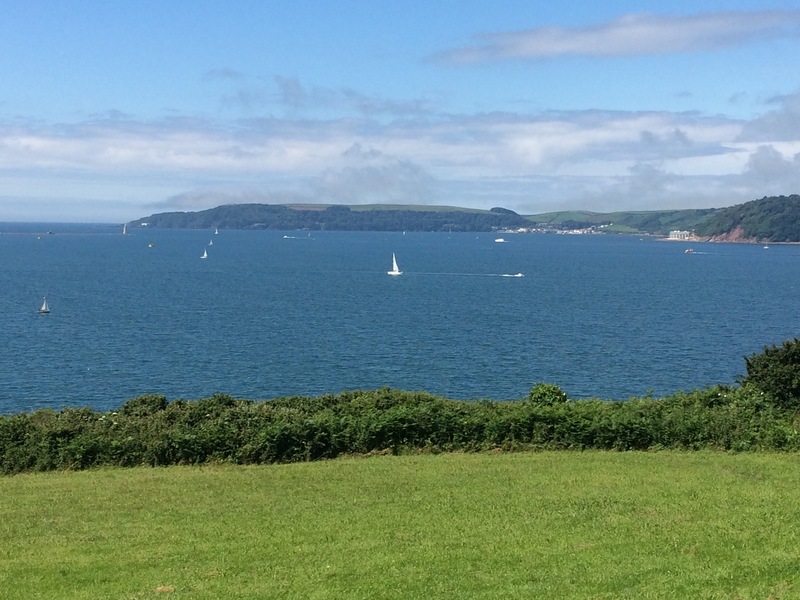 I noticed that a high proportion of the vessels resembled old-fashioned sailing boats, and then there were plenty of tiny dinghies with kids learning to sail, all mixing it with Royal Navy warships. 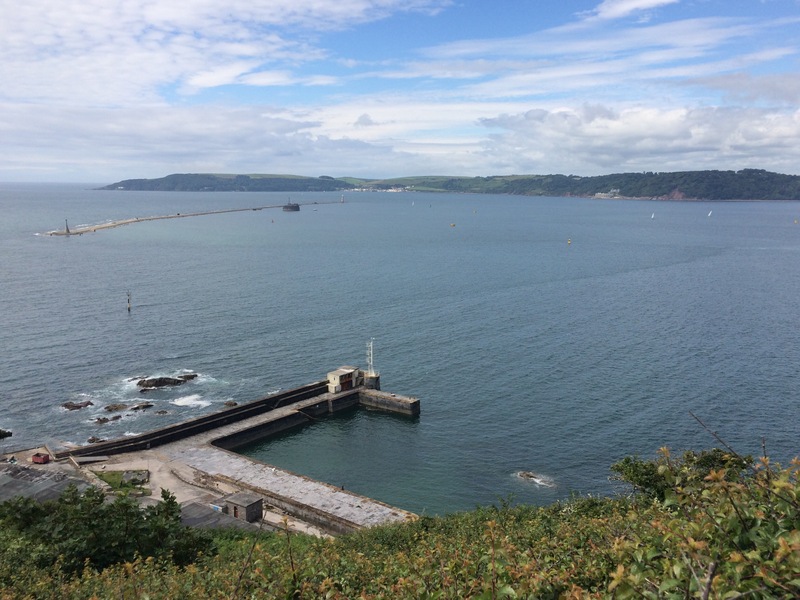 The Plymouth Breakwater protects ships in The Sound from rough seas. It is almost 1 mile long, was designed by Sir John Rennie and building began in 1812 but wasn’t completed until 1844. It must be a masterpiece though because Napoleon thought so. 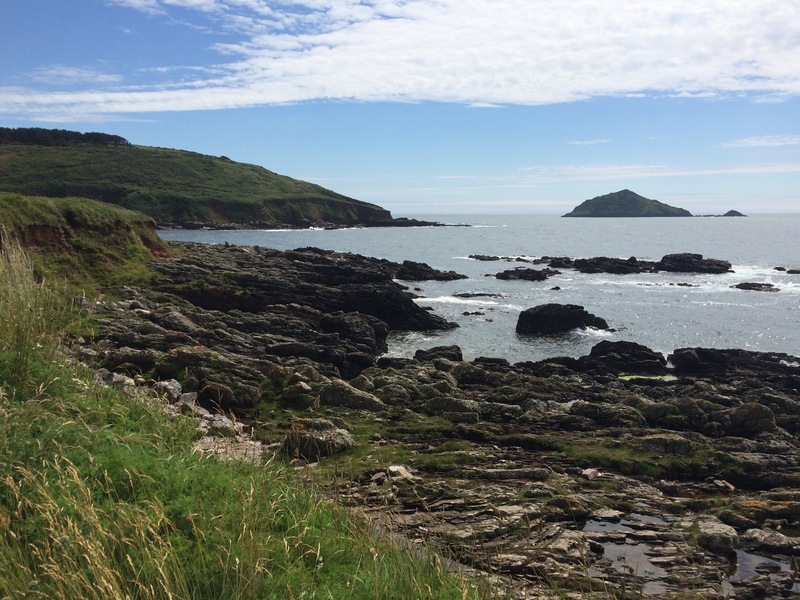 ﻿Eventually I left The Sound behind and headed into Wembury Bay, facing Great Mew Stone. 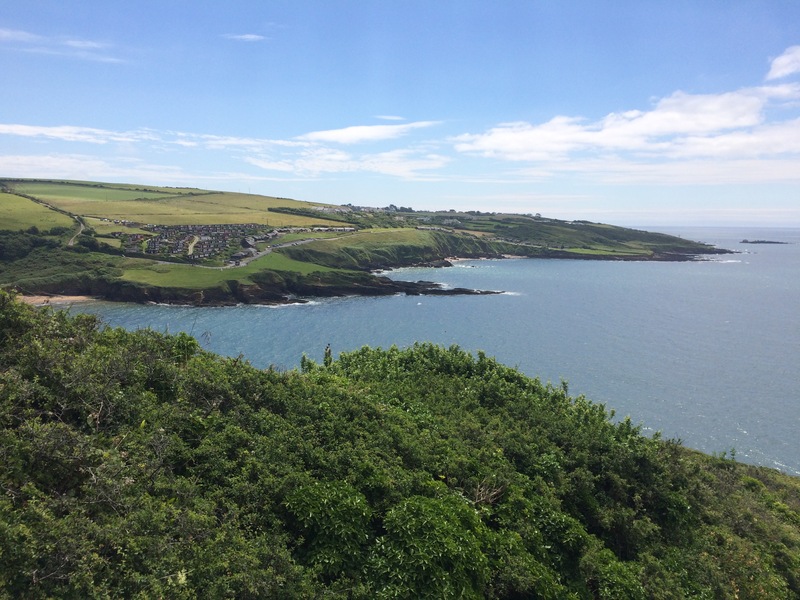 I was now in South Hams District. 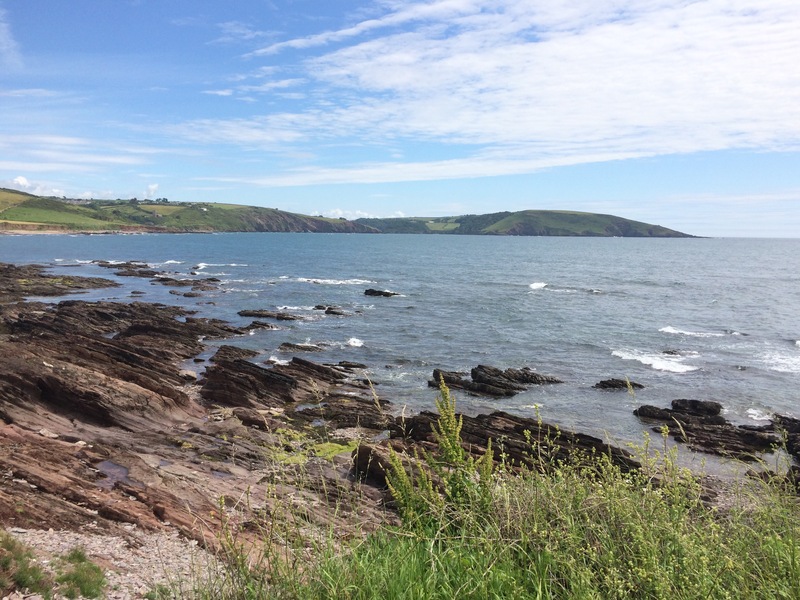 The beach at Wembury was small and had grey sand. The sea was choppy as it was windy so not as clear as I had been used to. It’s not supposed to be as clear as in Cornwall anyway because this is a marine conservation area so it’s full of nutrients that make the water appear cloudier. 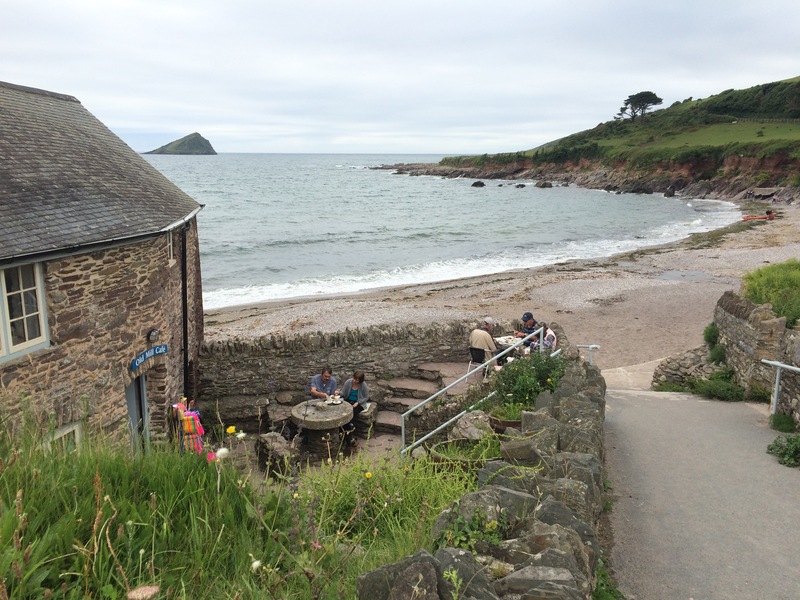 The town of Wembury extends up a big hill and the small, very basic campsite is helpfully located at the top. No sooner had I pitched my tent than I could see a sea must rolling in and spots of light rain began falling. I had been lucky today. 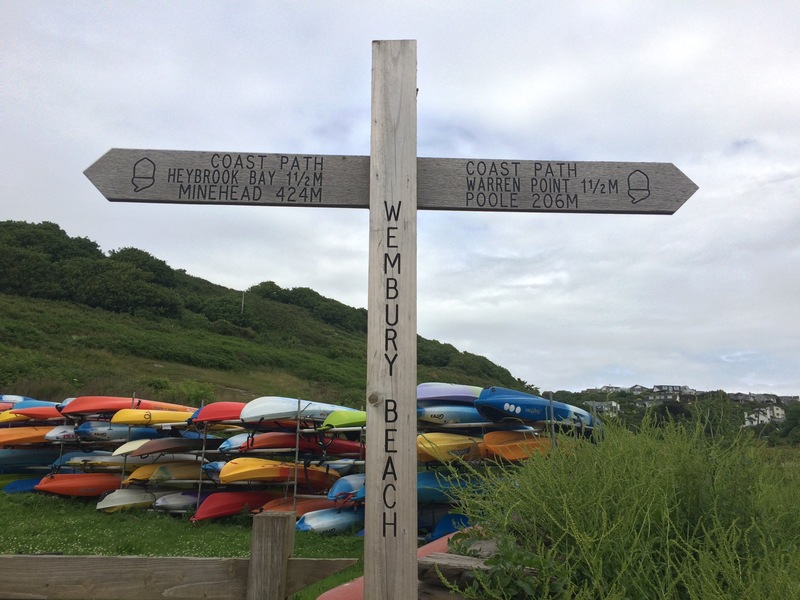 I would have liked to have covered a few more miles but this was the only campsite until Bigbury-on-Sea and I had to fit in a lot of ferry crossings over the next few days. 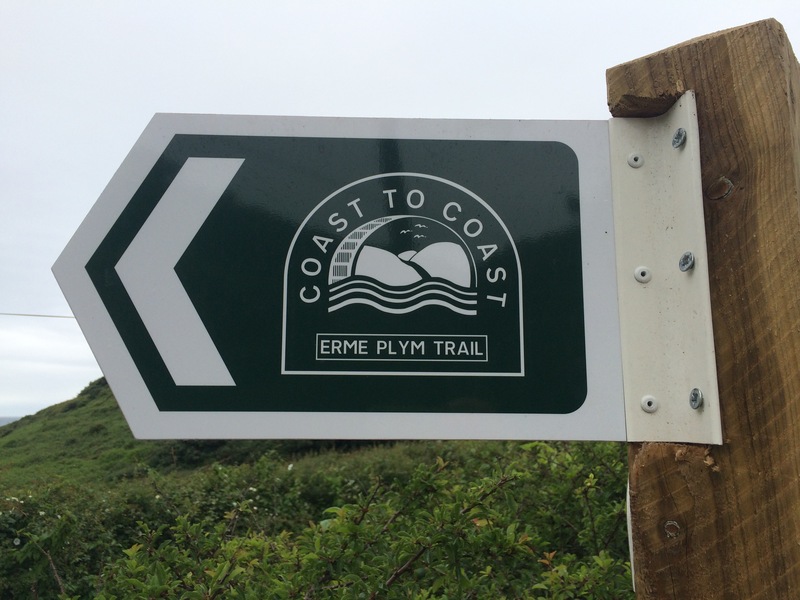 …3 miles further on and I’ve now got 206 miles to go?! I knew it! I knew it. Too good an opportunity to miss going on an all dayer! Well done Juice. 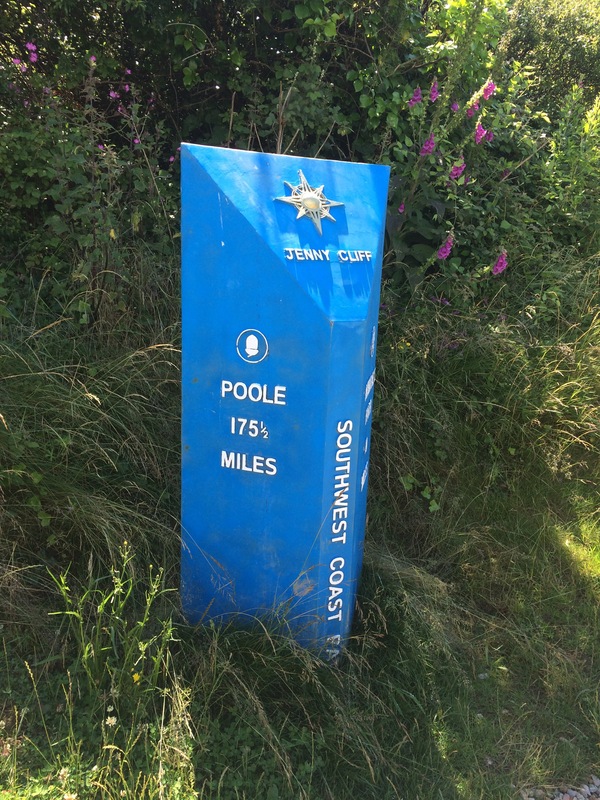 Many an 8 miler has been done in that state….only sobered up at the 7 mile point……just in time for the carry. On on juice if you believe the signs you have miles and miles to go! 2. The detailed description of wildlife and history is fascinating. 3. The constant references to food! Actually, that’s my top reason why I love your blog!